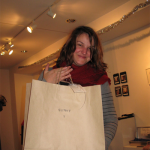 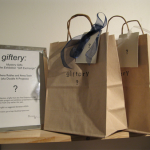 giftery was a public art piece in which donated goods from previous projects were concealed in custom gift wrap and offered for a suggested donation price as potential gifts. Participants were not told what item(s) they were taking home and could not see what they were. 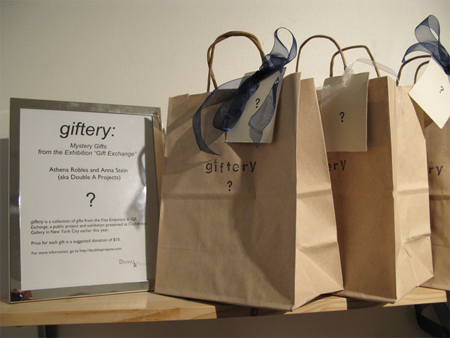 giftery was well-received and sold out by the end of the exhibition, reinforcing the spirit of generosity and fun in which the gifts were originally obtained. 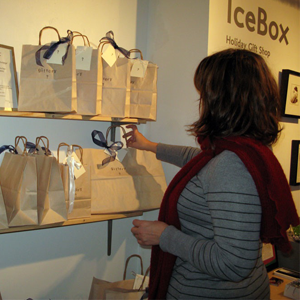 giftery was included in IceBox, a holiday fair and exhibition by Washington Project for the Arts in Washington, DC.